All the books reviewed on this blog have been read by me (Becki) and as such the reviews are a reflection of my opinion of the book. All the posts on this blog are also a reflection of my love for books. I earn no money from this blog. The reviews posted on this blog reflect my thoughts on the book after I have completed reading it – I will not review a book I have not finished reading. Each review includes the cover of the book, the blurb (which is taken from the book), the publisher’s name, date of publication, a star rating, and my thoughts on the book. I also try to post my reviews on Goodreads and I post a link to the review on Twitter. The books used for review on this blog are either purchased by me, won in a giveaway, or occasionally they come from the publisher. If I have not purchased a book myself I will state clearly in the review the source of the book. I use a 5 star rating system on the blog, to give readers a quick way to see what I thought of the book. ***** (5 stars) – It was brilliant. I could not put the book down. **** (4 stars) – I really liked it. *** (3 stars) – I liked it; it was a good read. ** (2 stars) – I thought it was okay. I am accepting Advanced Reader Copies and Review Copies of books. I am open to all book formats – hard/paperback, audiobook, and e-book – however I will give preference to the hard/paperback format as it is my preferred format. YA, Paranormal Romance, and/or Urban Fantasy. Non-fiction (this includes biography/autobiography/memoir), or are in the horror genre ( I’m not interested in reading about graphic violence or gore) or that are literary. When e-mailing to ask me to read the book please include a picture of the cover, the release date, and the blurb/summary. If I accept books for review it does not guarantee that I will read the book or post a review. When I accept books for review I will try my hardest to put a review up on my blog in a prompt and timely manner. If you would like the book to be read and reviewed within a particular time frame please mention this in your e-mail, as it may influence whether I accept the book or not. If the book is an ARC I will try my best to publish the review on or around (within 7 days) the release date. All the reviews posted on The Flutterby Room are honest reviews written by me, and could therefore potentially contain negative comments about the book. Reviews will not be malicious, but will reflect my honest opinion about the book – both the good points and the bad, and I will try to include both in the review to make it as balanced as possible. 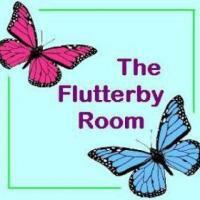 The Flutterby Room is happy to host giveaways, author interviews and guest posts. 204 blog followers, 243 Twitter followers, 38 likes on Facebook, and 42 Tumblr followers. Last updated 8th March 2016.